Dr. Davy Cheng, Distinguished University Professor and Chair/Chief of Department of Anesthesia & Perioperative Medicine at Western University was elected as Chair of the Board of Trustees (2016-2017), at the International Anesthesia Research Society (IARS) annual meeting in May 2016. The IARS is a nonpolitical, not-for-profit medical society founded in 1922 with its mission focused solely on the advancement and support of education and scientific research related to anesthesiology. 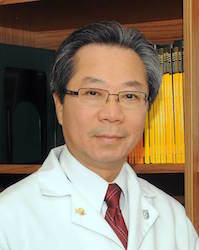 The IARS contributes nearly $1 million annually to fund anesthesia research; maintains a worldwide membership of more than 15,000 physicians, physician residents, and others with doctoral degrees, as well as health professionals in anesthesia-related practice; sponsors the SmartTots initiative in partnership with the FDA; and publishes the monthly Anesthesia & Analgesia journal in print and online as well as the clinical companion journal A&A Case Reports, published semi-monthly.